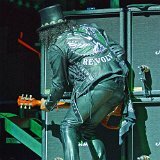 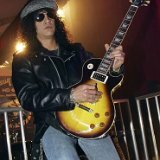 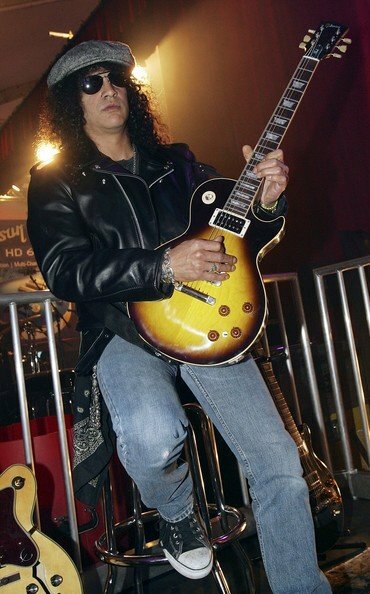 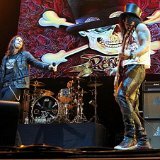 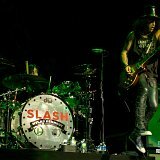 Photo gallery of guitarist Slash (Saul Hudson) from Guns 'n' Roses and Velvet Revolver wearing chucks in casual, posed, and performance situations. 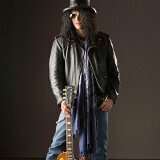 1 Slash Slash at a photo session. 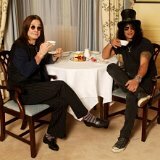 3 Slash Slash with a lady friend. 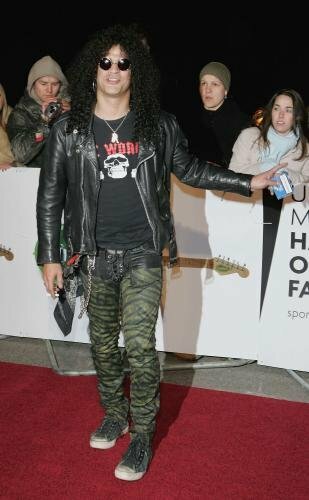 4 Slash Slash arriving at the UK Music Hall Of Fame in 2005. 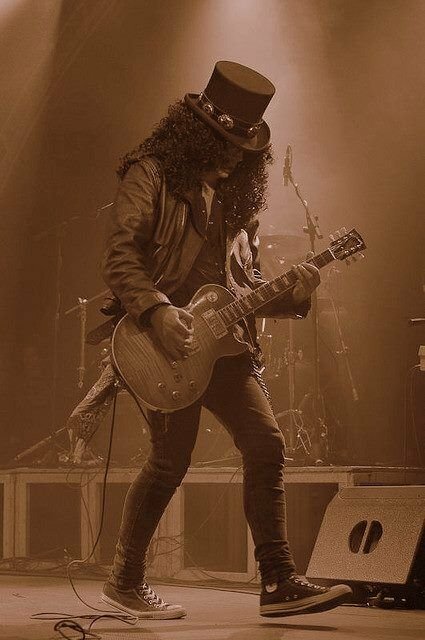 5 Slash Slash performing in his black high top chucks. 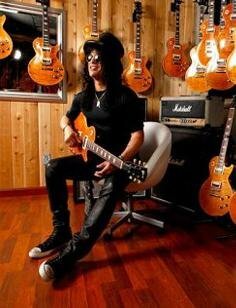 6 Slash Slash with his collection of guitars. 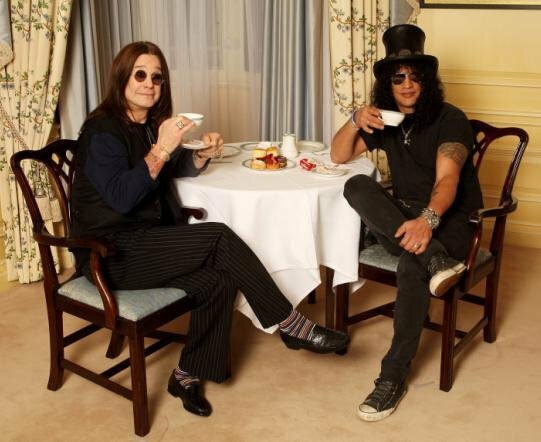 8 Slash Slash drinking tea with Ozzy Osborne. 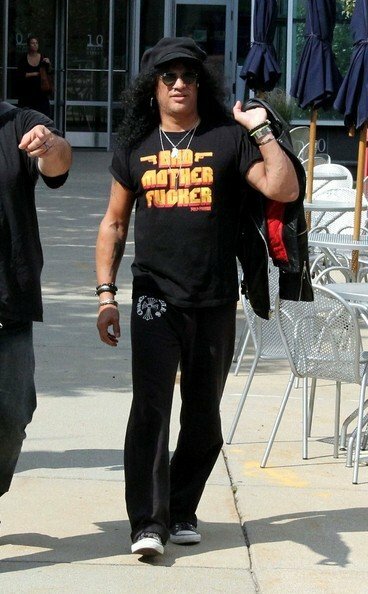 9 Slash Slash walking by an outdoor cafe sporting a new pair of black high top chucks. 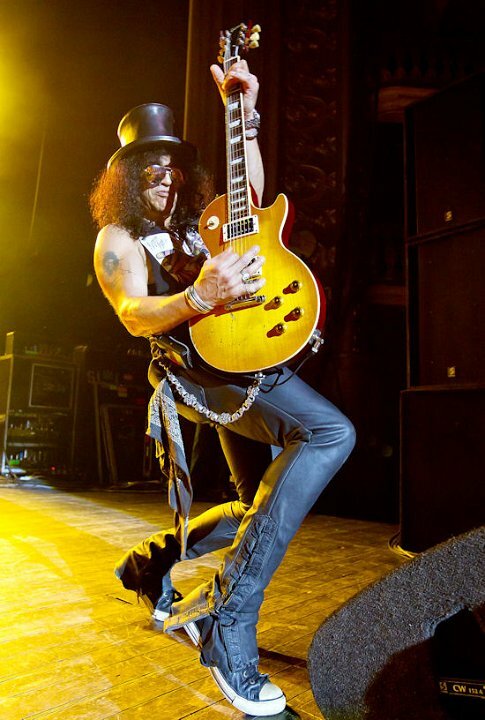 10 Slash Slash performing in his favorite black high top chucks with black shoelaces. 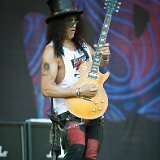 11 Slash Slash walking outside next to a bus. 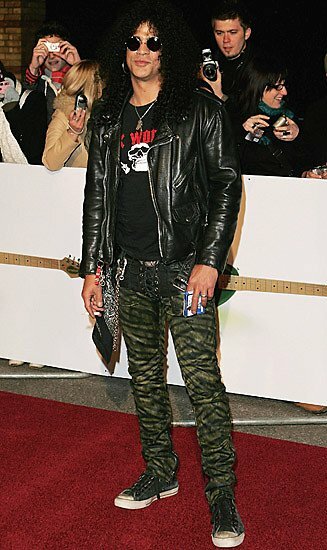 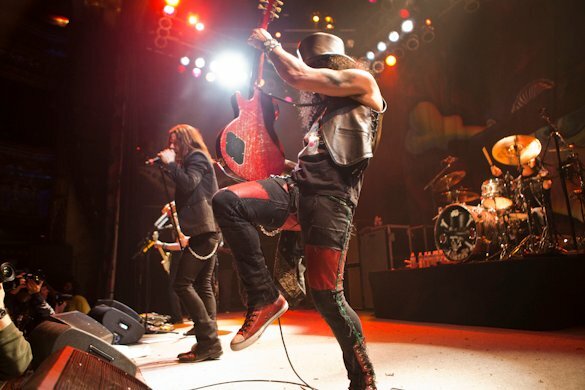 12 Slash Slash wearing red high top chucks. 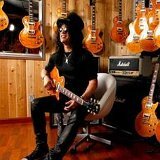 13 Slash Slash and a friend. 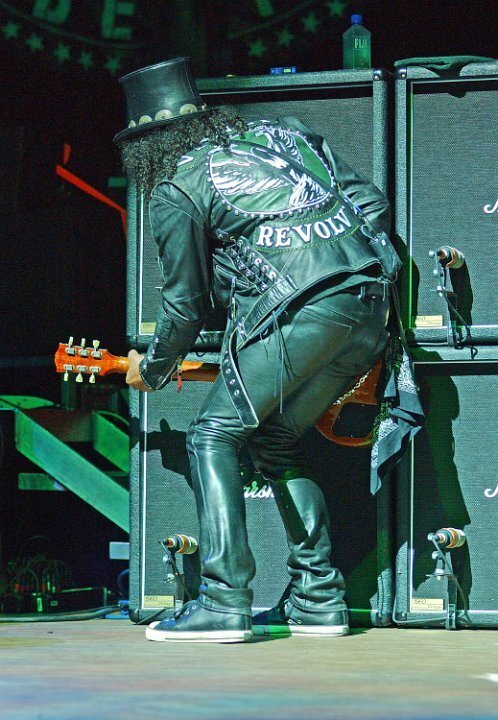 14 Slash Slash of Velvet Revolver performing at The Santa Barbara Bowl in 2007. 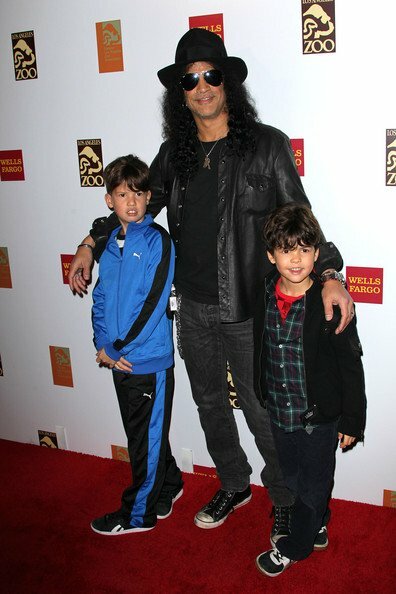 15 Slash Slash with his two young boys. 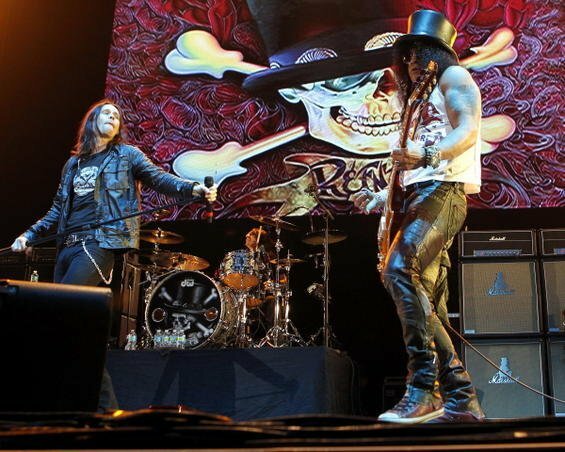 16 Slash Slash at an event sponsored by Virgin Airlines. 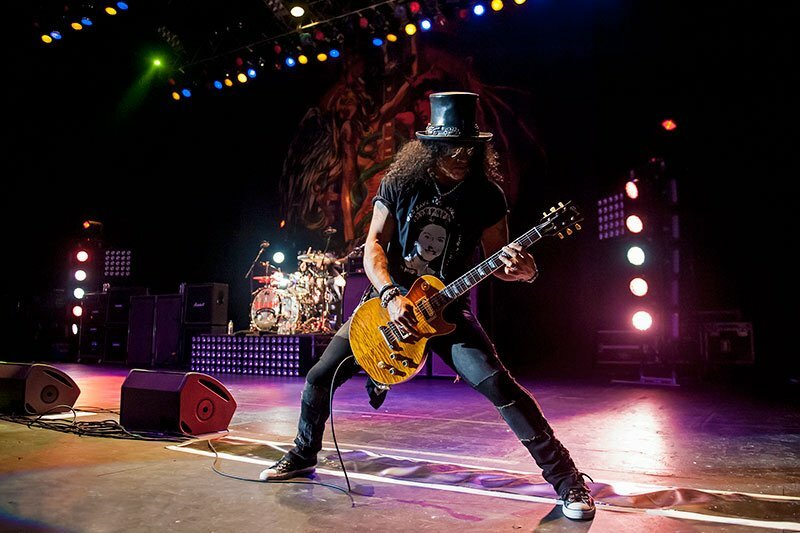 17 Slash Slash performing in black high top chucks. 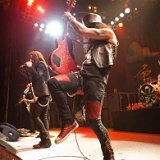 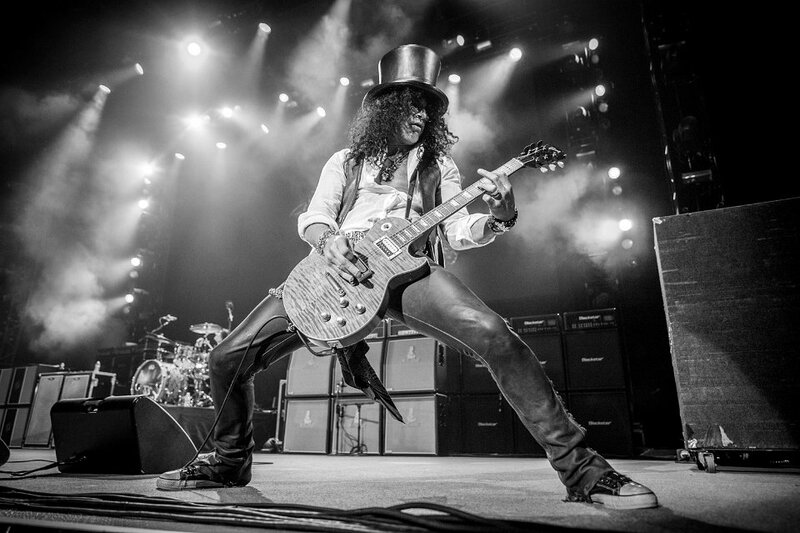 18 Slash Slash performing in black leather chucks. 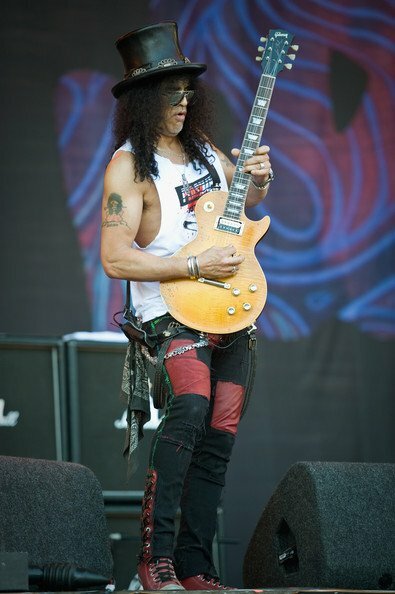 19 Slash Slash performing in his red high top chucks. 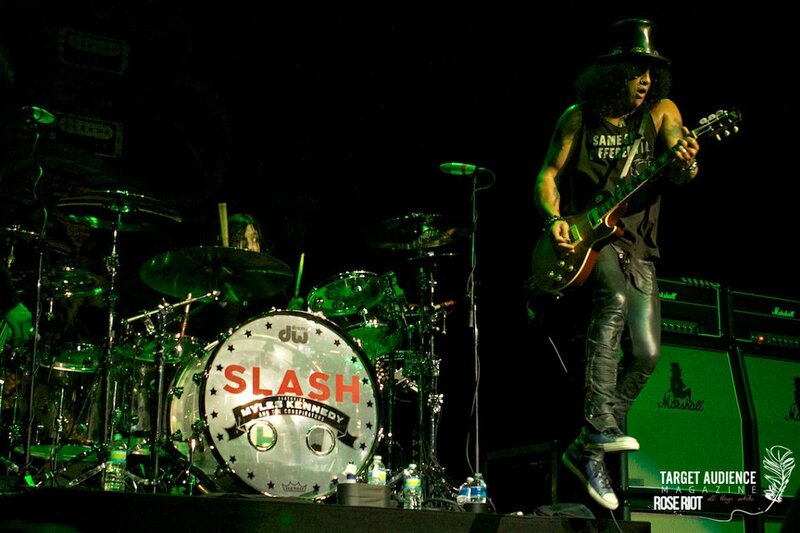 20 Slash Slash performing during the Scream World Tour of North America in 2011. 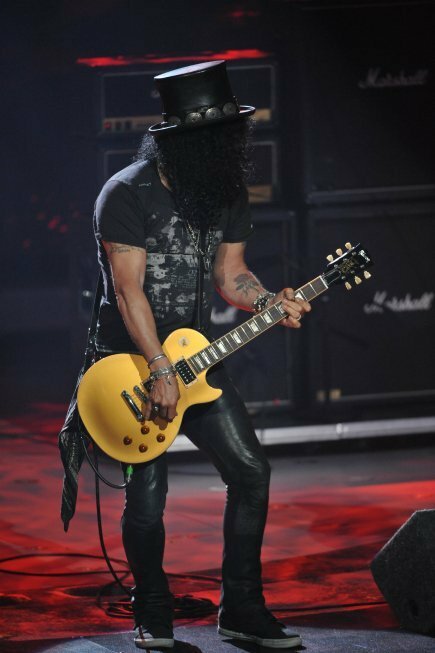 21 Slash Slash in performance. 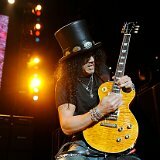 22 Slash SLASH performing at the HP Pavilion in San Jose. 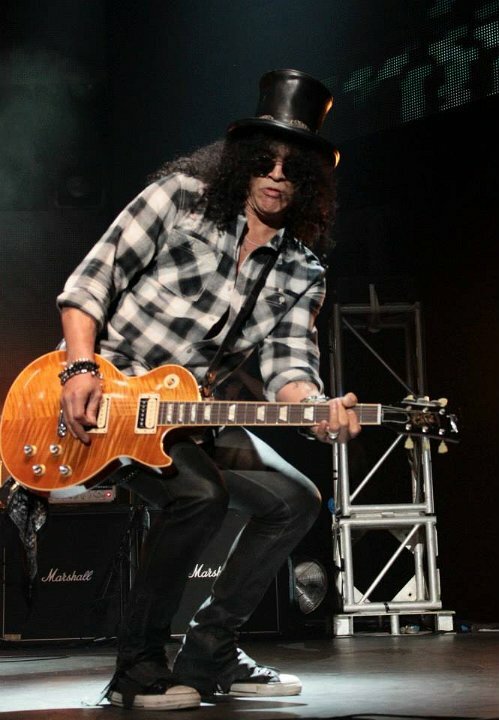 25 Slash Slash in performance. 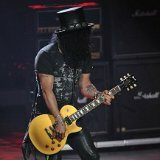 26 Slash Slash in performance. 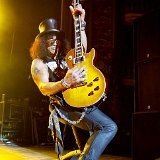 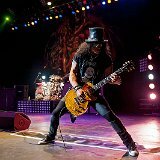 Saul Hudson (born July 23, 1965), better known by his stage name Slash, is a British musician and songwriter. 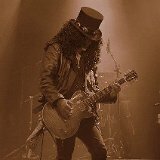 He is best known as the former lead guitarist of the American hard rock band Guns N' Roses, with whom he achieved worldwide success in the late 1980s and early 1990s. 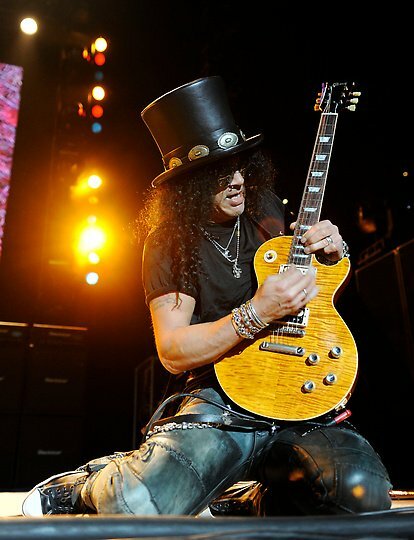 During his later years with Guns N' Roses, Slash formed the side project Slash's Snakepit. 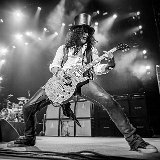 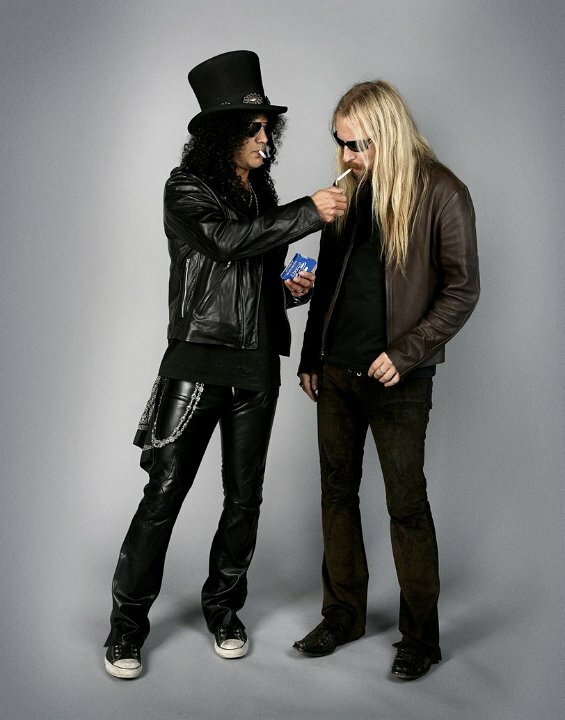 He then co-founded the supergroup Velvet Revolver, which re-established him as a mainstream performer in the mid to late 2000s. 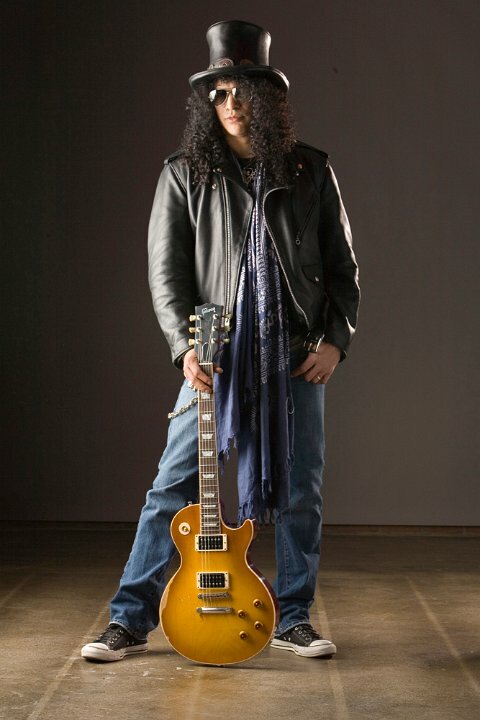 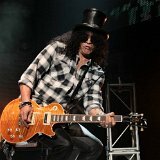 Slash has since released two solo albums, Slash (2010), featuring an all-star roster of guest musicians, and Apocalyptic Love (2012), recorded with singer/guitarist Myles Kennedy of Alter Bridge, along with rhythm section Brent Fitz, Frank Sidoris and Todd Kerns, known on the album as The Conspirators.